Nov. 10 is celebrated annually as the World Science Day. For states, as well as for scientists, this is the day for coordinating their positions. 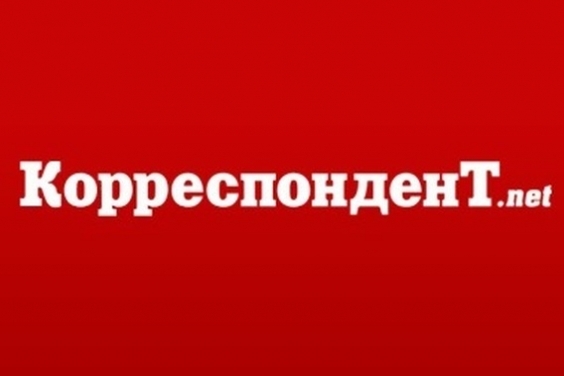 Unfortunately, in Ukraine, the position seems to be lacking, Serhiy Lovochkin, deputy Chair of the Opposition Bloc faction wrote in the blog for Korrespondent. The world is at the turn of a new technological leap – biotechnology, artificial intelligence, new energy sources, and innovative technical solutions are gradually becoming the new norm. The main force behind this movement is science. However, Ukraine is rather an observer than a participant in the process: the share of scientific and technical work in the country’s GDP has almost halved since 2013, from 0.8 percent back then to 0.45 percent in 2017. But how does science perform in Europe? According to 2016 data, the share of expenses on research and development in EU countries’ GDP averaged 2.8 percent. The indicator reaches above average in Sweden with its 3.25 percent, Austria - 3.09 percent, Germany - 2.94 percent, Denmark - 2.87 percent, Finland - 2.75 percent, Belgium - 2.49 percent, France - 2.25 percent; below the average are Macedonia, Latvia, Romania, Cyprus and Malta - between 0.43 percent and 0.61 percent. Data suggests Ukraine is being led “up the downward staircase.” A blow was struck to the institutional foundation of the Ukrainian science: the funding of the National Academy of Sciences of Ukraine in 2017 was reduced by 9.38 percent compared to 2013, almost by four times in dollar equivalent, from $395 million to $109 million. The situation with the National Academy of Medical Sciences is even worse: allocation of actual funds for it decreased by more than 17 times – from $308.6 million in 2013, it went to receiving only $18 million in 2017. Scientists are leaving the country, there are no real state programs to support young researchers, and scientific institutions are aging without investments in reconstruction and modernization. The “brain drain” has become catastrophic – according to the State Statistics Service, in 2014, 42 Ph.D. holder and 7 higher doctorates left the country. It is characteristic that since 2015, the outflow of research staff abroad has not been recorded, but the situation continues to deteriorate: in 2015–2016, according to the National Academy of Sciences of Ukraine, more than 15percent of its employees left. Gifted children want to leave the country since their school years, and they are happy to be admitted by universities in Poland, Germany, etc. According to the research of the Polish Institute of Public Affairs, the number of Ukrainian students in Poland has increased from 10,000 to 35,000 over the past three years. Moreover, only 9 percent of them are going to return to Ukraine after receiving their degree. Ukrainians are getting used to the fact that “big science” and significant technological breakthroughs occur exclusively abroad. This is how an inferiority complex is created, which is being compensated with celebration of successes “from the past”. For example, the Institute of National Memory is funded in amounts that exceed the funding of five academic institutions. The problem is not the lack of demand for science – there are enough high-tech industries in the country that need both scientifically trained personnel and modern scientific developments. Not to mention the production and technology that can be created through new discoveries. All this is of little interest to the current government. Ukraine is still a leader in copyright infringement and has not built a system for its effective protection. Therefore, Ukrainians prefer to register their inventions abroad. They are also looking for funding for their projects and access to global academic databases, laboratories, and partnerships. Without financing science, our country loses its investment in education provided to those who have left, and misses the benefits of the results of their future developments. Without changing the situation, Ukraine is doomed to a lag, deindustrialization, and complete dependence on foreign technologies (quite likely, invented by scientists who left Ukraine). The revival of Ukrainian science is impossible without political will, which the current authorities do not possess. It is necessary to increase the financing of national science. Expenditures on research and development, funding for basic science should be raised from at least 0.5 percent to 3 percent of GDP; a system of grants introduced, and opportunities for participation in international projects created. This will motivate Ukrainian scientists to live, work, and implement their projects in Ukraine. By implementing a public-private partnership in the scientific sector, reviving the relationship between science and production, ensuring practical implementation of developments of Ukrainian scientists, and creating opportunities for the emergence of research and production clusters with enterprises, research institutes and universities, we will demonstrate the possibility of personal fulfillment and the prestige of the profession to scientists, especially the younger generation. By introducing intellectual property protection mechanisms, we will recognize the value of the result of the work of innovators. The revival of Ukrainian science is not a utopia, but a real opportunity. It is only important that in 2019, Ukraine does not miss its chance.